The U.S. Fifth Circuit affirms Barrasso Usdin’s trial victory, finding that insurer did not waive its right to deny coverage under policy’s notice provision. Law360 selected Richard E. Sarver and Celeste Coco-Ewing as Legal Lions for securing a complete defense verdict in defense of Janssen Pharmaceutical’s Xarelto. Barrasso Usdin has achieved victory for its client, an affordable housing developer, in a case regarding the valuation of affordable housing developments for ad valorem taxation. 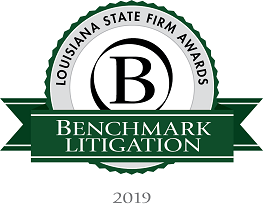 The firm represents a St. James Parish white sugary refinery that helps sustain more than 800 Louisiana sugar cane growers. Barrasso trial team successfully defends multi-million attack by excess insurer in insurance dispute. 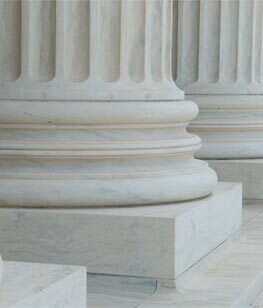 Barrasso Usdin wins dismissal of putative class action in Virginia coverage dispute. A Barrasso Usdin trial team successfully defended Johnson & Johnson and DePuy Orthopaedics in the first bellwether trial in the multidistrict litigation involving a DePuy hip implant. The firm represents an excess liability insurer that issued a $50 million excess policy in connection with sprawling litigation arising out of the discovery of a sinkhole formation and its ensuing impact on the surrounding area. A panel of the Louisiana First Circuit Court of Appeal affirmed an injunction against Governor Bobby Jindal and his agencies that prevented them from interfering with the implementation of Common Core State Standards in Louisiana public schools. The U.S. Court of Appeals for the Fifth Circuit affirmed the dismissal of claims against the Firm's client in a complex adversary proceeding arising out of a multi-million dollar bankruptcy.